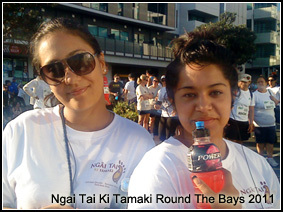 Some of the Ngai Tai Ki Tamaki participants at this years Round the Bays held on the Auckland Waterfront. 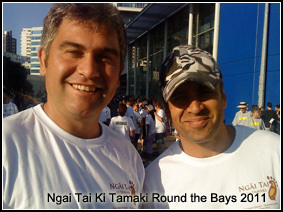 This year Ngai Tai Ki Tamaki entered a team into the Around the Bays fun run 2011. 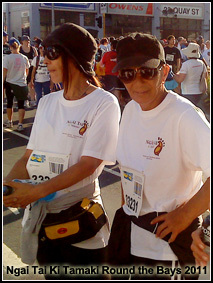 We had a great turnout with over 40 registered runners. 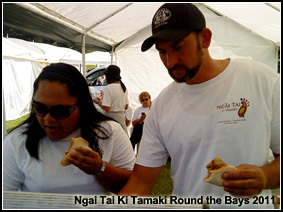 All proceeds went to several very worthy causes. 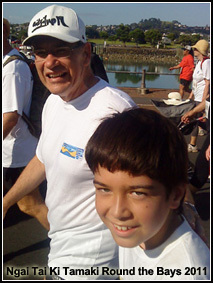 We had runners, walkers, pram pushers and even rangatahi on scooters. The scenery around the waterfront was beautiful. 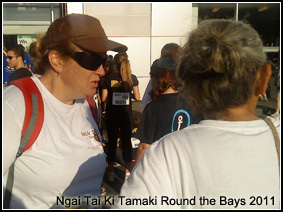 After the run we had plenty of whanau to greet us at the end and plenty of support crew to help make lunch. As well as promoting good health it was a great chance for everyone to catch up and renew old ties. 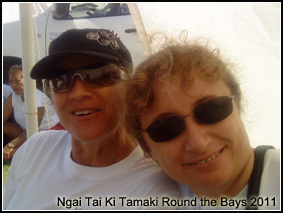 A big thank you to the organisers and in particular the Events team and support crew, you know who you are!! Your efforts were great and very much appreciated. We are all looking forward to our next event. 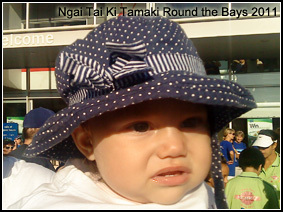 KIA KAHA WHANAU AND THANK YOU ALL FOR YOUR PARTICIPATION! !